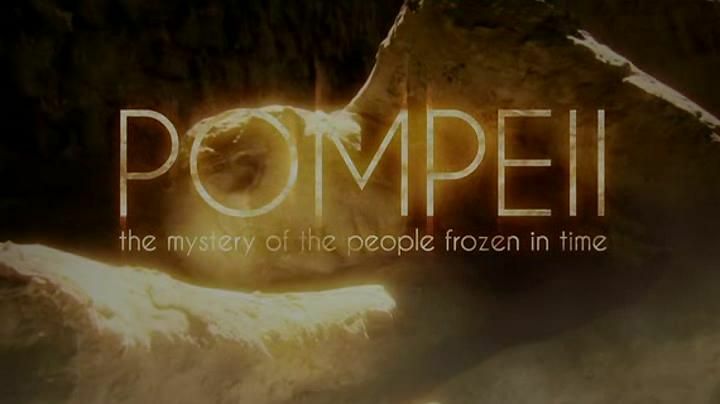 Pompeii: The Mystery of the People Frozen in Time One-off drama documentary, presented by Dr Margaret Mountford. The city of Pompeii uniquely captures the public's imagination; in 79AD a legendary volcanic disaster left its citizens preserved in ashes to this very day. Yet no-one has been able to unravel the full story that is at the heart of our fascination: how did those bodies become frozen in time? For the first time the BBC has been granted unique access to these strange, ghost-like body casts that populate the ruins and, using the latest forensic technology, the chance to peer beneath the surface of the plaster in order to rebuild the faces of two of the people who were killed in this terrible tragedy. Margaret turns detective to tell a new story at the heart of one of history's most iconic moments; she looks at the unique set of circumstances that led to the remarkable preservation of the people of Pompeii.